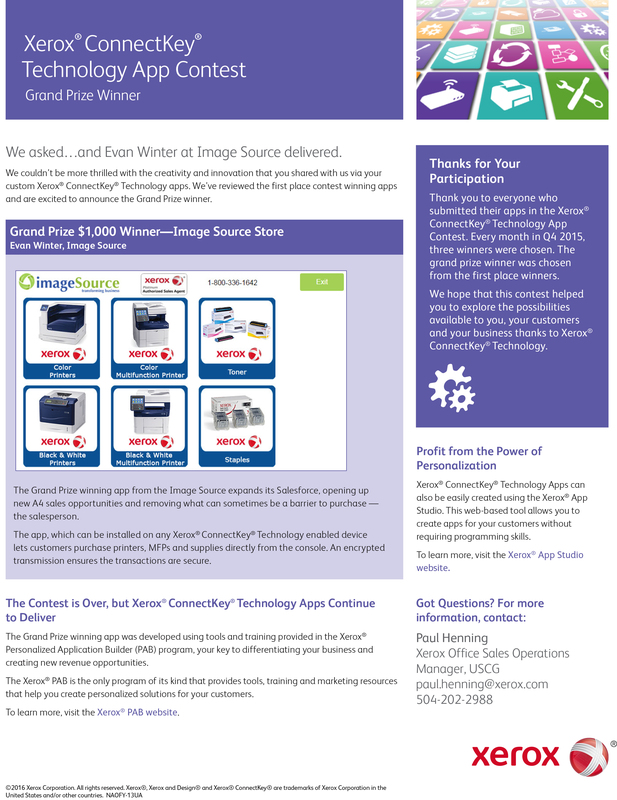 The Grand Prize winning app from the Image Source expands its Salesforce, opening up new A4 sales opportunities and removing what can sometimes be a barrier to purchase — the salesperson. The app, which can be installed on any Xerox® ConnectKey® Technology enabled device lets customers purchase printers, MFPs and supplies directly from the console. An encrypted transmission ensures the transactions are secure. ← What are the New Innovative Trends in Customer Service?